Occasionally SherpaReport gets to try out some of the destination club or private residence club properties. This gives us a first hand experience of how the clubs work and lets us report back on these experiences. 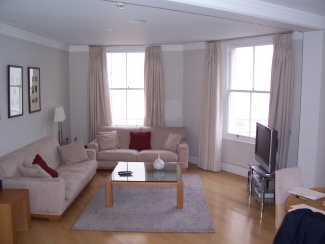 On a trip to England last week I stayed at the Ultimate Resort flat in London. Here's a run down on the experience and how this worked out. Typically for an Ultimate Resort member they would initially coordinate their trips with their "Member Services Specialist", the person at Ultimate who really gets to know a members travel preferences. For this trip my main contact was directly with Venus who is the "Destination Specialist" for London at Ultimate Resort. Venus and I spoke on the phone a few times and emailed back and forth to organize the trip. One of the first things she emailed through was the "Reservation Confirmation", which as the name suggest just confirms that the reservation is made. With this being a short trip, and having lived in London for several years, I didn't need a lot of help with the planning. Even so Venus provided an impressive suggested list of things to see and places to go, including a lot of tips and recommendations that were specific to the timing of my trip. One request that I did have was for a UK mobile phone since my US phone won't work in the UK. Venus coordinated with the UK based local concierge to arrange for a rental cell phone to be available at the flat when I arrived. Once all the travel details were set up, Venus sent through a final "Travel Itinerary". 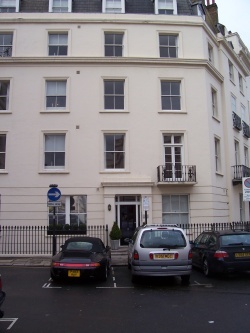 The apartment (or "flat" as they are called in London) is right in Belgravia, on a purely residential street and pretty quiet for such a central London location. There are a variety of shops and restaurants within a few minutes walk, with the closest area being around Sloane Square, which is also the nearest underground tube station. The location is also close enough to allow you to take a 5 minute taxi ride (or 20 minute walk) to Knightsbridge, for shopping at Harrods et al or about an equal distance to Buckingham Palace. The theatre district in the West End is about 10 minutes away by taxi or a few stops on the underground. The 2 bedroom, 2 bathroom flat was in a 5 story building with 7 other apartments. It had tasteful modern décor, with hardwood floors in the living room/dining room and a fully equipped kitchen with mainly stainless steel appliances, and even included a washing machine. There was both wireless and wired internet connectivity throughout the flat and it had air conditioning, which is relatively unusual in London. The large LCD TV came with a surround sound audio system and Sky satellite TV service. The flat was certainly well stocked, with plenty of guidebooks and maps of London, a folder with key contact information, local restaurants, transport etc, even umbrellas for those London showers. Kate, one of the local concierges, was waiting for me when I arrived at the flat. She'd actually been waiting about 40 minutes because my flight into Heathrow had been delayed. Kate showed me round the flat, pointing out where everything was, how things worked, and making sure I felt comfortable. Since this was a short trip I had only asked for a few breakfast items to be stocked, and these were all neatly waiting. She had also brought along the mobile phone that I had asked for, and also arranged for a courier to pick up the phone before I departed on my outward trip from Heathrow. Having lived in London for several years I knew my way around the city and was spending the couple of days catching up with various friends and colleagues, so I didn't need much help with restaurant or theater bookings. The local concierge can typically help out with everything from making these types of reservations, to more mundane questions such as how to work the coffee maker in the flat or where to find the local Starbucks. Emma one of the other concierges called in the afternoon to see if I needed anything else and was able to help out with a small request. Overall the trip went very smoothly and the flat and its location were excellent. Let us know if you have any questions on this trip, or if you're an Ultimate member and have stayed at the London flat you can write a review at Ultimate Resort London. Several other destination clubs also have homes in London, and most of the others have plans to acquire homes in the UKs capital city.